So today we were very lucky, we have glorious weather again, probably about 14 degrees and a clear blue sky. We started off from Ventas and for the first time so far, managed to get eggs for breakfast which was a great start to the day. 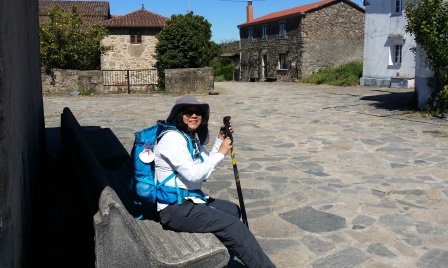 Today is just a short stretch into Palas de Rei. 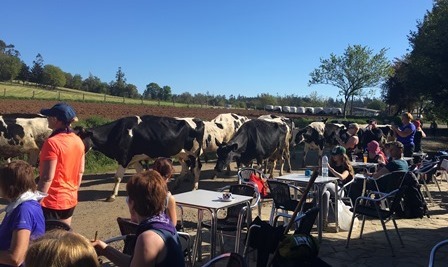 We’re now getting into the rhythm of the Camino fairly well, although because we’re only walking short days, we’re not leaving particularly early, generally between 9 and 9:30 am. Today’s section is about 15 kilometres, which seems to be about as much as Pat can take at the moment. 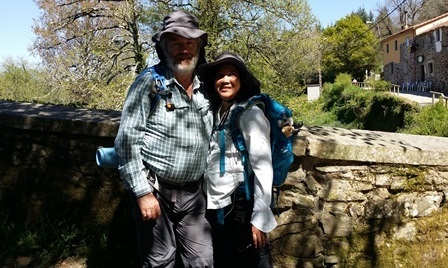 This morning, we left Arzua and we’re doing about 16 kilometres to Rua and that will leave us two more days to get to Santiago, two more easy days, 16 kilometres to Lavacolla, and then a short 10 kilometre day to Santiago. Unfortunately, I think our final two days will be raining, but we’ve been very lucky with the weather so far, so we can’t complain. 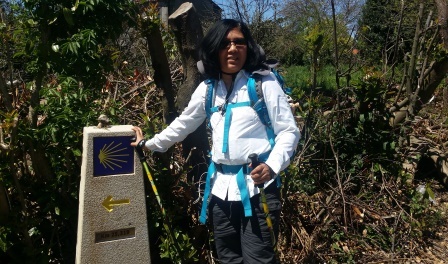 It’s funny how the Camino will work its magic if you let it. I’m not sure how many days we’ve been walking at 7 or 8, you tend not to bother counting when you spend your day just putting one foot in front of the other and enjoying the journey.